Sitting around talking about the past in Berkeley, the conversation turns lively when we talk about restaurants that are no longer with us. Their presence helped define us, and in an odd, metaphysical way still does. We remember them, we remember a different time, we remember meals and friends and maybe even what we talked about while we sat there. McCallum’s on Solano. I remember large black and white photos of kids from decades past eating big dishes of ice cream. One ice cream dish was called the Kitchen Sink. They served a good open-faced grilled cheese with tomato on English muffin. 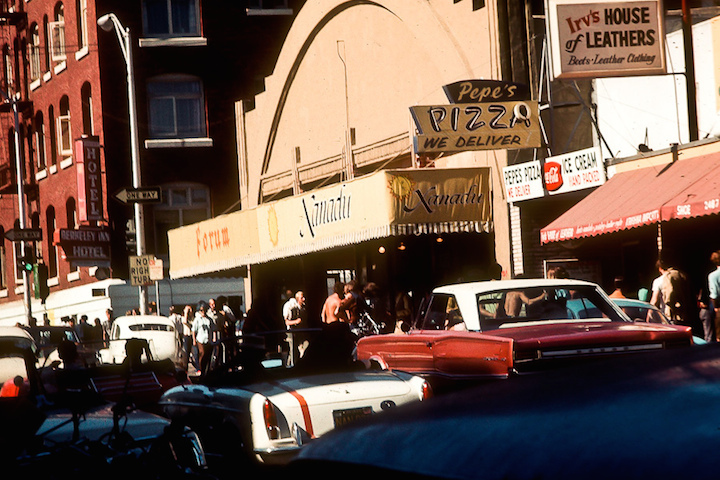 Solano had not one, but two ice cream parlors. 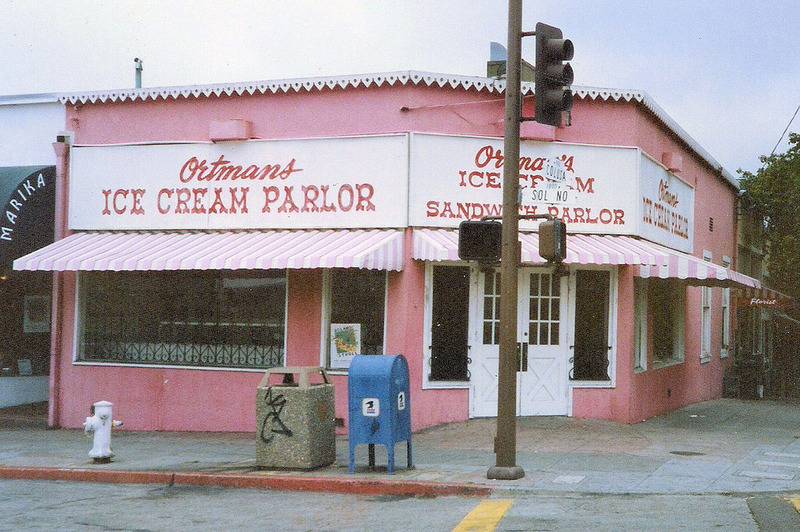 On the northwest corner of Colusa and Solano stood Ortman’s. Starbuck’s is there today. Oh for Ortman’s! 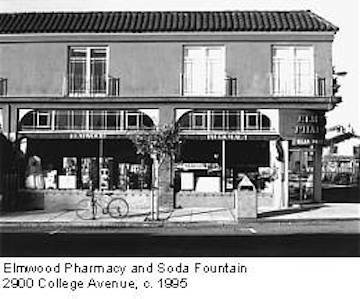 A few blocks down Solano, at the corner of Ensenada where Pharmaca Integrative Pharmacy stands, was the Red Barn. 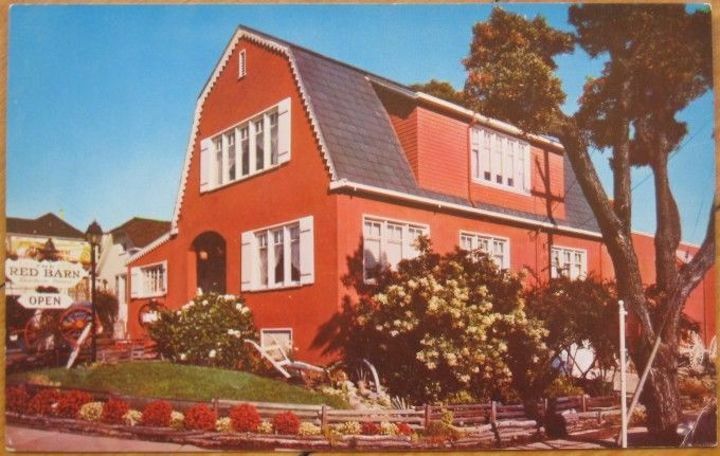 The postcard shown here told us that it was “Berkeley’s most unusual restaurant with authentic antiques and early American decor makes an ideal setting for the entire family to enjoy real home cooking. Through our barn door for your eating pleasure. THE LEACH’S / Wayne, Carmen and Pam.” Authentic antiques! 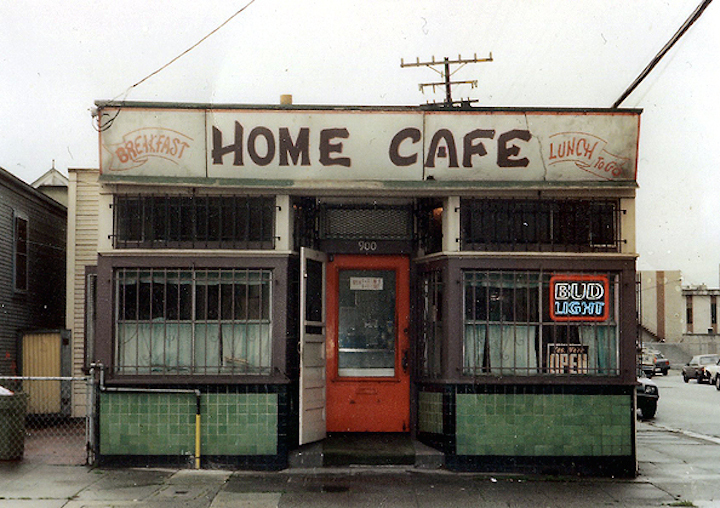 I have been in a steady committed relationship with the Homemade Cafe on Sacramento at Dwight for 35 years – it is my go-to breakfast joint. But that is not to say that I haven’t dabbled elsewhere. 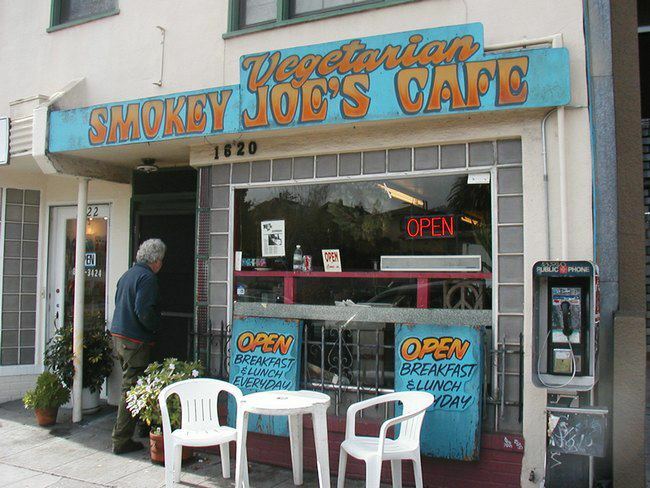 Smokey Joe’s on Shattuck south of Cedar was a funky and down-home place. Guerrilla Cafe is now in the space, itself a good choice that rocks a revolutionary vibe. Smokey Joe’s – a name that resonates. 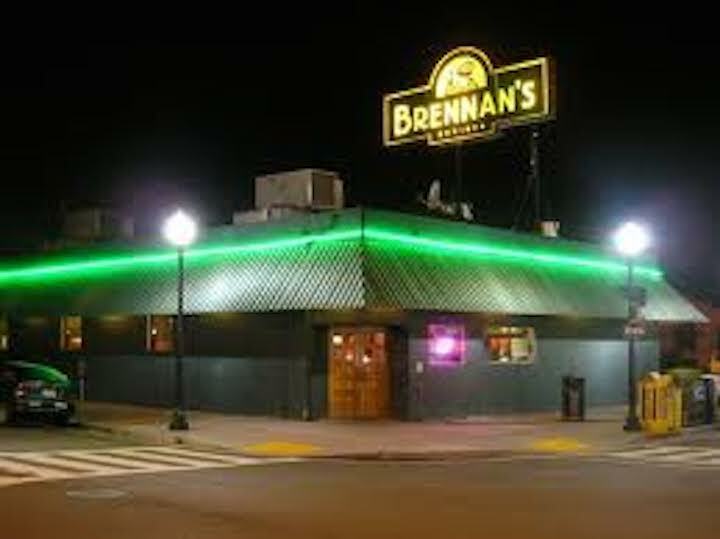 Brennan’s before it moved west to the old Southern Pacific railroad station. The door on the east side of the building was designated “Ladies’ Entrance.” It was a magical, cavernous room. The food served at the steam table would make Jack Kerouac feel at home. And Mrs. Brennan’s custard is To Die For. 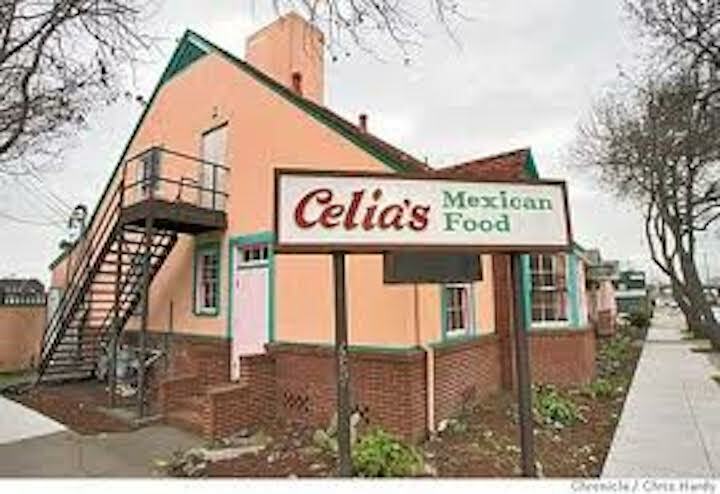 Celia’s was behind Brennan’s. Torn down for the gentrification of south 4th Street. It was dark inside. You sank in the leather cushions in the booths. Mexican-American food. Not high end, not nuevo, old school. Great. Look at me – an iconic (I hate that word!) 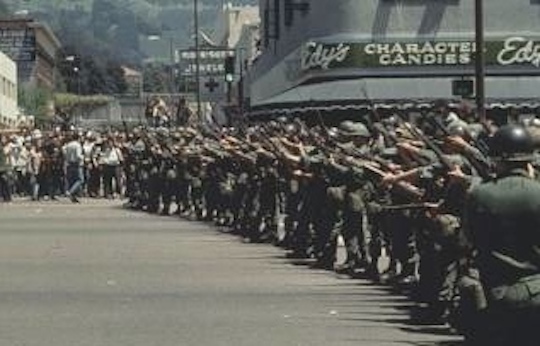 photograph of the National Guard occupying Berkeley and all that I care about is that you can see Edy’s in the background. When my family was out of town and I missed kids, I would take Elizabeth and Amaya from down the street to Edy’s for dinner and ice cream sundaes. It was quite a sundae. Nothing has done well at that corner since Edy’s went away. 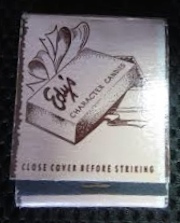 J. O. Edy opened the place in 1932. In 1968 Les Inman bought it, then Mrs. Charity Jo, and then in 1979 Peter Pappas. 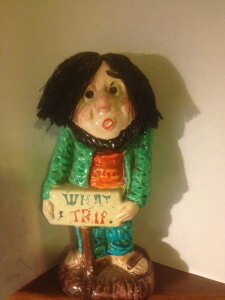 Mrs. Jo sold it, we were told, because of “problems” with the culinary workers’ union. I take that to mean she didn’t want to sign a contract. Pappas had no “problems” with the union. Ozzie Osborne ran Ozzies in the Elmwood. My daughter Julia was born in 1985. 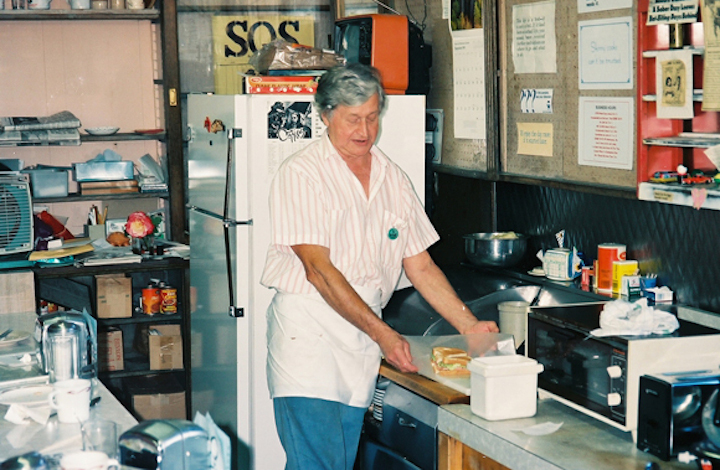 Starting in the late 1980s we were semi-regulars at Ozzie’s counter. She’d have a hot dog and milkshake. I’d have a grilled cheese. 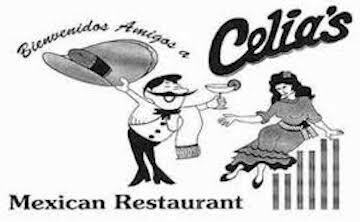 The restaurant has survived and is a neighborhood hub, just as it was with Ozzie. It is a little more upscale, a little newer – but – still good. 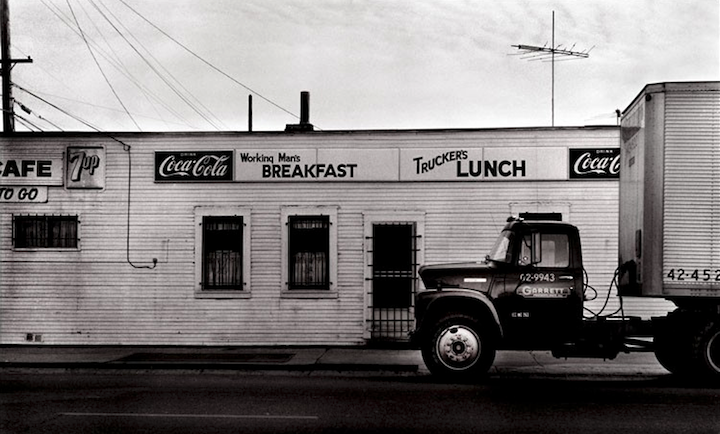 Before 900 Grayson, the restaurant at 9th and Grayson was the Home Cafe, boasting of the Working Man’s Breakfast and Trucker’s Lunch. 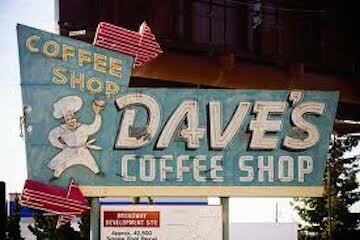 I ate there a couple times with Dave Peterson, a contractor friend. It is hipster now. Didn’t used to be. In the early 1970s, in my early 20s, I was working for the United Farm Workers in the San Joaquin, Salinas, Coachella, and Imperial Valleys. We would come to Berkeley a few times a year for cultural rejuvenation. We usually stayed with Jeff Lewis on Ashby and Saturdays came to the Buttercup for breakfast. We’d stand in line for half an hour, maybe a little more. Talking, laughing. Being young and full of hope and waiting for breakfast. 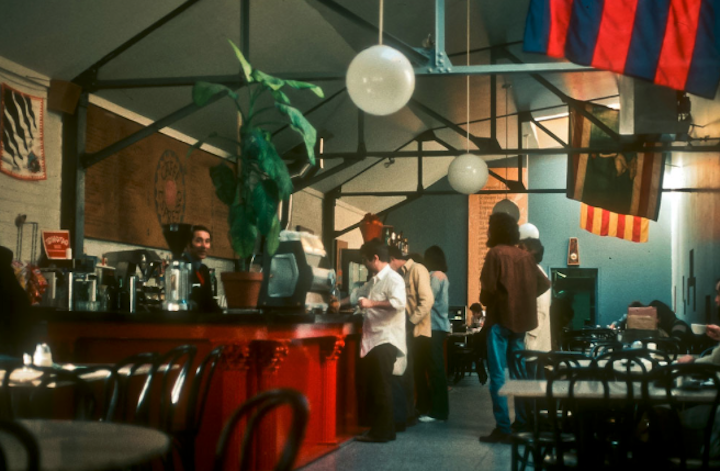 Cafe Espresson on Hearst – opened at a time when there was more of a balance between the north side and the south side in terms of student housing. 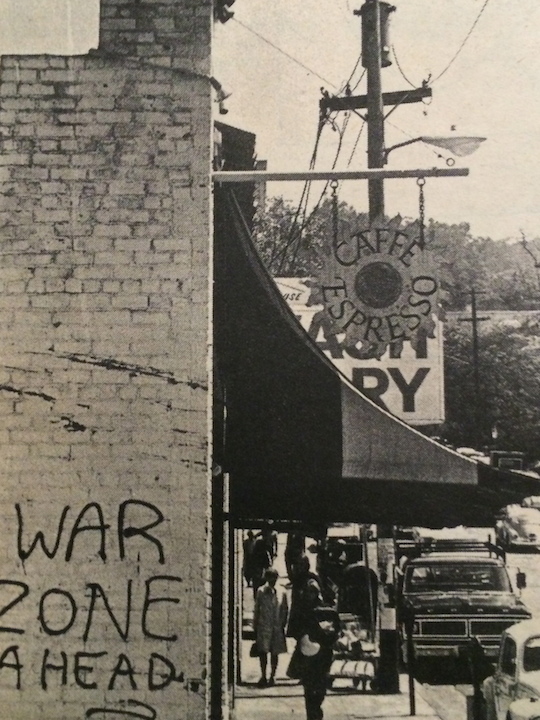 In the mid 1960s there was a momentous shift south, and the enclaves of counter culture on the north side faded. Amoeba’s Records of today was many things before. 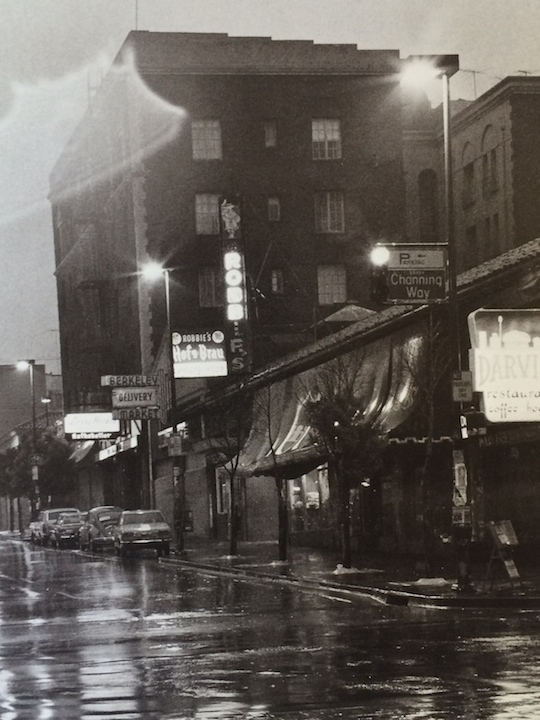 In the early 1960s it was Lucky’s Store No. 18. 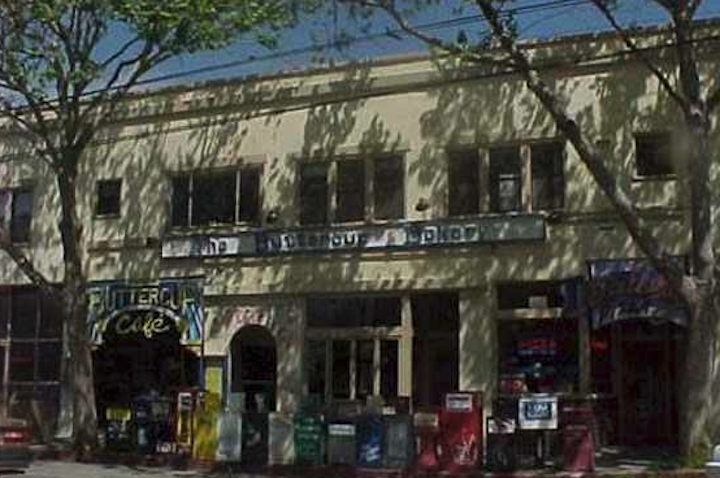 It then became Espresso Forum, along with El Picolo one of the first espresso joints on Telegraph. It was home to intellectuals, not counterculturists, and in 1966 there was a brief controversy when the Forum barred longhairs. 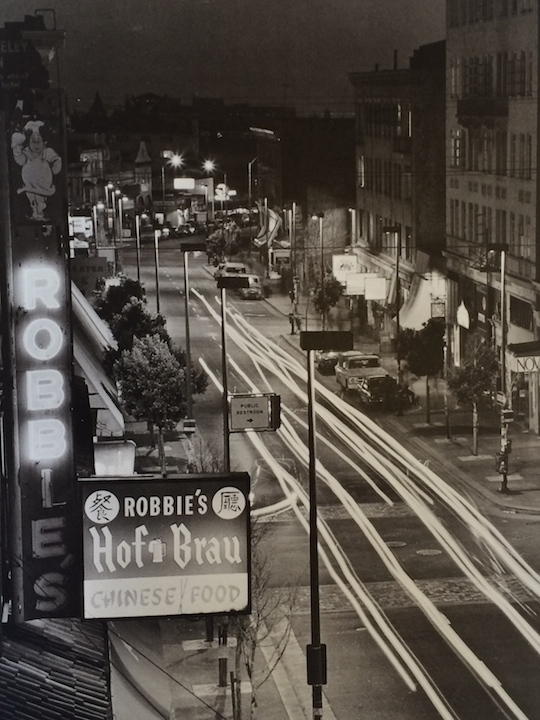 Robbie’s Hoffbrau on Telegraph was as close as we got to Horn and Hardart’s. Ginsberg and Kerouac fit right in. Organizers of the Free Speech Movement hung out, eating cheap food, drinking coffee, smoking, and strategizing. 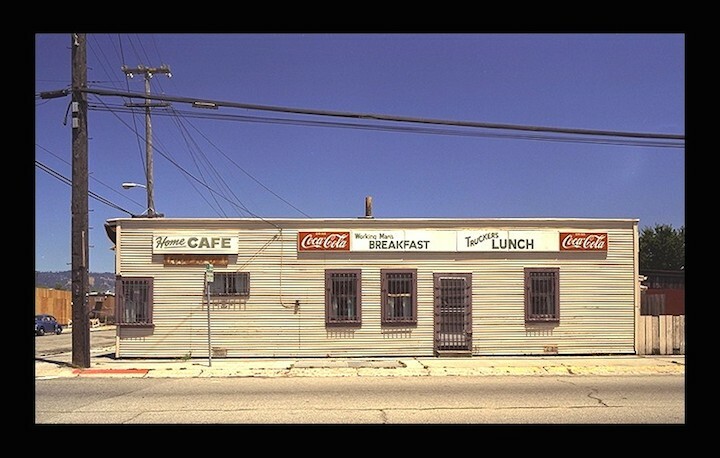 Drifters and grifters ate here with artists and radicals and free spirits. Long gone. I showed my friend these photos. He knew them all, but wasn’t satisfied. He knows the rules, but he nevertheless asked for consideration for two joints in Oakland. He and I met up at both Biff’s and Dave’s with some regularity in the early 1980s when I was living on 37th Street in Oakland. After 9:00 p.m. – apple pie (served cold, no ice cream) with a glass of milk and cup of black tea. Perfect! But, my friend, what about the Berkeley joints that are gone? And add Bott’s on College Ave. in Elmwood, which made the best ice cream, fresh every day, that could be found anywhere. Couldn’t remember the name of the place my parents used to bring us for ice-cream cones. Your photo helped me: it was Pepe’s. Like the Hofbrau and its Chinese Food, a little anomalous, but that was Berkeley. Ca 1965. Mom worked for KPFA, Dad was an Asst. Prof at the U. Didn’t get tenure because involved with FSM. Long time gone. Palmer’s Drugs deserves a mention. Started taking the bus down from the hills there in 4th grade. Good comics on the spin rack. I’d give a lot for it to still be there. Omg, I remember the Red Barn, it was a real treat going there with my folks! I have that postcard! And McCallum’s and Ortman’s icecream…there was a market there too, my parents would buy my a Dad’s oatmeal cookie sold from a glass jar on the counter. That was over 50 years ago! In the late 1950s my mother and aunt owned The Elmwood Bookshop (Bookshoppe?) On non-school days I would spend the day at the shop and Mom would send me up to Ozzie’s for deviled egg sandwiches and chocolate milkshakes. Great memories. 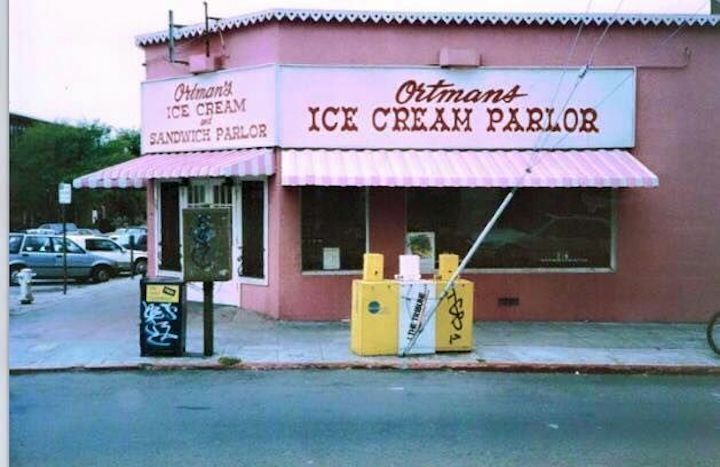 Dad would take us to Ortman’s on Saturday morning for donuts when we lived on the corner of Peralta and San Lorenzo. My dad was an engineering professor at Cal. His office was in Etcheverry Hall on Hearst. He’d take me to The Melting Pot – a fondue place in the little square of elevated courtyard restaurants right above Euclid. And La Val’s Northside was great pizza. That’s not still there is it? La Val’s is still there. I’d say it’s fun pizza. Not sure about great. There was a movie theater next to it – gone. I love that one block of Euclid north of Hearst. And then there was the treat of poor kings, the Gross Burger. Actually one of the Giant Hamburger locations up from Hearst Avenue on Euclid. Where lines would wait as their patties progressed on the grill marked on the top to allow the chef to recall what was with them. Grilled onions, mayo (or some potion), mustard, lettuce, Ketchup, grilled to your liking. On days where two nickels were hard to find it supplied filling for the stomach. If really affluent, a couple donuts down the block especially early when they were fresh. Ay Caramba! Corner Univ & MLK Jr Way. I am looking for a picture of the piano player at Robbie’s Hofbrau. Bob Mosley. Wow! I’ve eaten at most of these places and my first job was at Ortman’s. 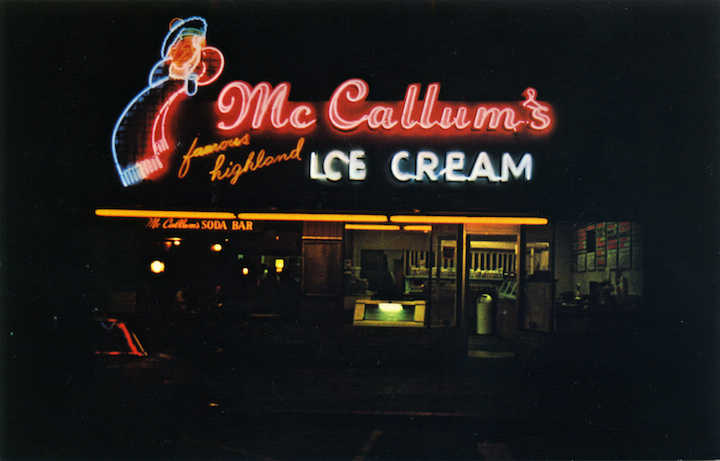 My favorite sundaes were at McCallum’s, though. They had the best hot fudge and always gave that extra bit in the white pleated paper cup. Cruchon’s had great sandwiches and fudge pie. Does anyone remember The Movable Feast on the Arlington? Fat Apples was Fat Alberts and had amazing cheesecake… I don’t take for granted having grown up in an area with so much great food (among other things, of course!). Thanks for the walk down memory lane.